Laurie Ignacio is the Marketing & Communications Strategist at the Women Donors Network. Laurie began her career as a public policy fellow at the Greenlining Institute, a California-based racial and economic justice organization. 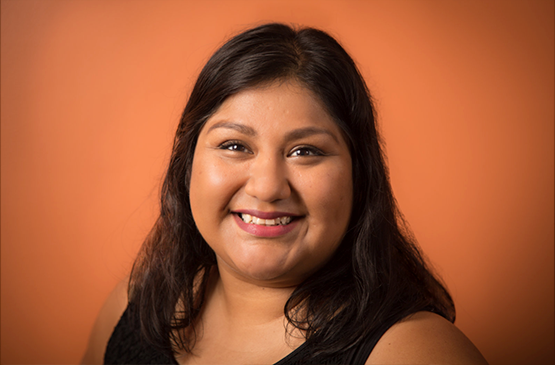 She went on to cut her teeth in digital communications as an immigrant rights organizer with Presente.org, an online civil rights organization incubated at Citizen Engagement Lab. There she led campaigns to end the deportation of immigrant youth and to resist racial profiling laws that began in Arizona and spread across the country. Laurie came to WDN from the Roosevelt Institute, a New York-based think tank that focuses on economic inequality, where she managed online communications. In addition to her commitment to social justice and public policy, Laurie is passionate about arts and journalism and was an early staff member at Radio Ambulante, an award-winning Spanish-language podcast and radio program that tells stories from Latin America and brings the aesthetic of long-form journalism to radio. In her free time, Laurie enjoys building community with progressive queer folks of color, listening to podcasts, and catching up on her #longreads.